Need your item(s) to be made sooner? Have an upcoming wedding or a last minute gift? 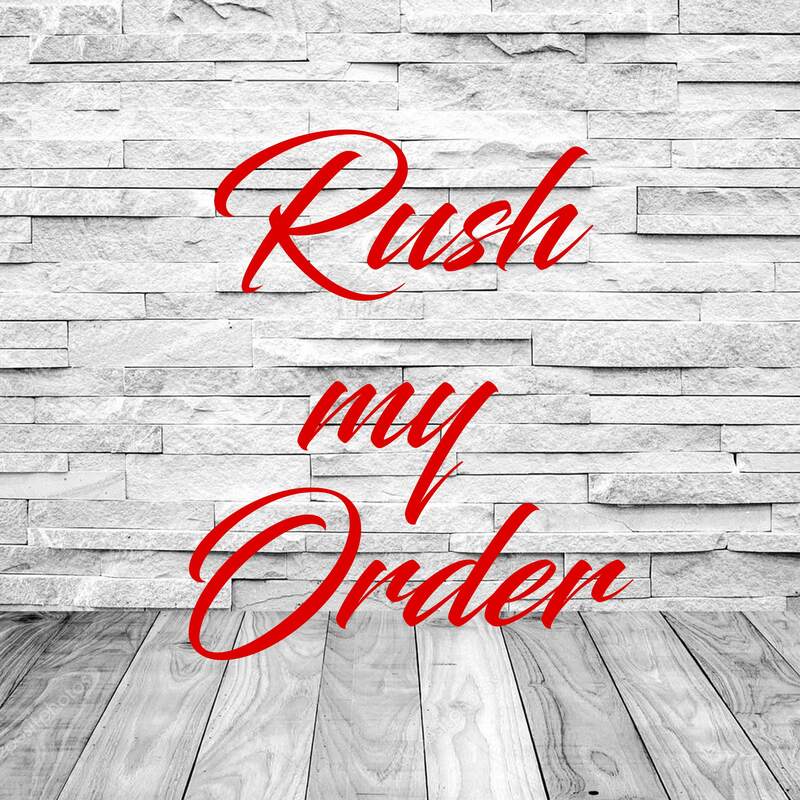 Please add "Rush My Order" options to your purchase if you would like your order to be expedited. Please note that: This option is NOT expedited shipping, instead this is to rush the production and processing time (normal production time is 3-5 business days). Packages are shipped via USPS First class mail that normally takes 2-5 days within the United States. We do offer shipping upgrades that are available in every listing for faster delivery (this is separate from "rush my order" option).